Welcome to the website cost calculator. Here you can online calculate cost of establishing site. Our calculator is completely interactive and you can add or exclude the right components thereby forming a unique site. Drawing up a technical task costs 20.00 , in the future when ordering a site this amount is refunded to the client. In which currency should prices be displayed? Let's first define what purpose you need a website and select the corresponding type. Depending on the choice, they will choose the appropriate modules. Modules can be added or deleted later. All our sites are based on Pedanto CMS base and have the admin panel. Your personal website or your company's website. Typically contains up to 12 pages, and the feedback form. Modules can extend site Functionality, adding a photo gallery and more. Informative, entertaining portal, an interactive blog or forum. This type of site is very functional and allows you to create large projects of any complexity and functionality. Are you selling products? Would you like to have your catalog with the ability to make purchases online? All this will help to make the Internet-shop. Modules can expand the functional. Modules allow you to extend the functionality of your site. Depending on the type of site selected the appropriate modules. However, even on site-business card no one bothers to install a blog or a product catalog. Unique pedanto forum system will create a platform for discussion of the topics on your site. Typically used for networking sites or communities. Module for creation own pages. Built-in visual editor. Ability to import from the MS Word. You can fill the site with articles or blogging. You will be available a visual editor of publications and the system tags. It allows you to upload images and files to the site. Convenient for the creation of articles and page design media content. Slider it is block with banners, which follow each other cyclically. Usually placed on top of the site. It allows you to organize photos catalog your photos with the ability to create categories. 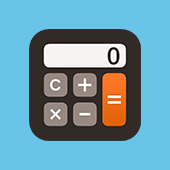 Calculator created individually. For example, this where you are right now, was created entirely from scratch. Feedback form allows site visitors to write to you on e-mail. The callback button. Sends you a message to Telegram with the number of the visitor who filled out a pop-up form on the site. It allows site users to subscribe to news and e-mail from your own site. Multi module allows translating the site into different languages. Product catalog for online store of any type. It allows you to create categories and load the goods through the admin panel. Products basket. Necessary for ordering with many products at the same time. Connecting semi automatic online service for accepting payments online store. It allows you to transfer all the currency at the rate specified in any other currency in the world. It allows creating varieties of the same item of goods price with different colors, etc. The importer of goods from the warehouses of the supplier of the API such as Brain, etc. Importer will be written based on the wishes of the customer. On the product page, you can recommend products from other categories. It allows you to specify prices with reference to the number of purchased goods.For example, if the buyer takes 100 units of the product, the price will be different than for one. Allows you to select the product in categories based on its characteristics. Mobile phone mobiles can be sorted by brand, diagonal, battery capacity, etc. Now you need to decide what type of design we will use. It can be as simple no-frills design and corporate identity, which will give your site unique. We only work with adaptive layout that will allow your site to look great on any device! This can be your design in PSD format or purchased with a choice of colors. Template options will be granted based on the theme of the site. Adaptive design only! Author's design drawn from scratch. You will be provided a layout in which it will be possible to make adjustments according to your wishes. The site will be unique! Drawing banner or slider without animation. Design and layout of the adaptive landing page. Creating site - is only the beginning. It should be filled and developed. This can be done by yourself or entrust the work to professionals. Text and graphical information. No complex tables and a plurality of images. Page with tables, video, pop-up pictures, or adaptive layout. Placement of the material provided in electronic form. The price depends on the complexity of the position and it is calculated individually. Filling the site by translated text. Price is for a single page. Changing the phone number or address on the site is carried out free of charge. Buying our hosting, we guarantee the stable operation of the site! Server Configuration and protection from DDOS attacks. Purchase and domain renewal for one year. It includes connection cloud DNS, to the protection of the site from DDOS attacks. Your company will be available on the world map with the exact route of trip, the facade images and schedule of work. On the Google world map, everyone can easily find you by the company name. Counters attendance, Online Consultant for store, Guestbook, Google / Yandex maps, etc. Installation is free! The cost of works is indicated for projects of basic complexity. Depending on the degree of complexity of the business, the amount of the calculation can be higher up to three times.